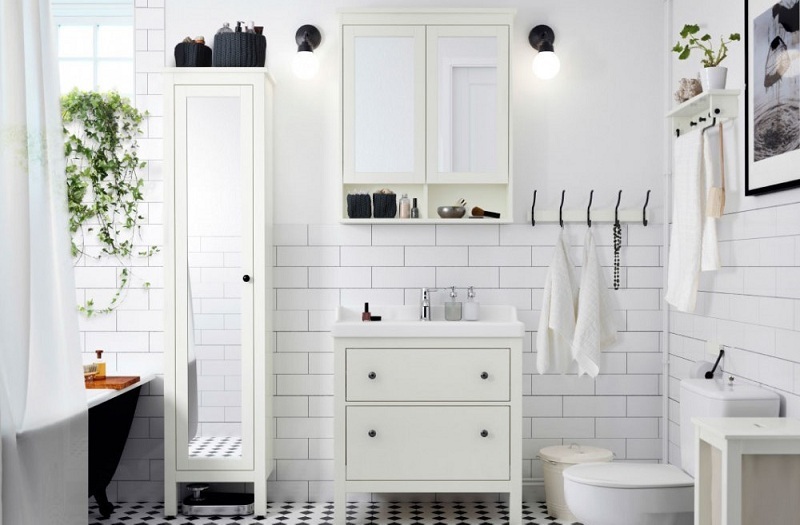 How To Make Mirror Furniture For Bathroom? Modern planning of apartments and private houses suggest a total optimization of space. That is why the bathrooms do not differ in scale. But at the same time, extremely compact rooms should be very roomy: in addition to the mandatory areas for hygienic procedures, they can fit accessories for washing, drying things and storing a whole range of cosmetics. And if the bathroom is also combined, the owners simply have no choice: only competent furniture, made with their own hands, can solve the problem. 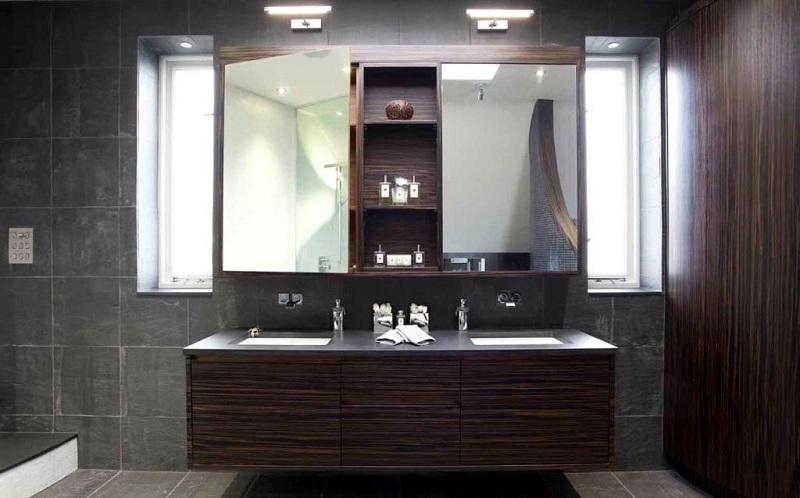 To benefit from every meter in the bathroom will help mirror furniture, combining beauty and functionality. It will become not only a useful piece of an interior but also significantly increase the space in the room, add brightness and gloss. As a rule, such furniture has an impressive cost. Reduce the cost of repairs and get the desired result by making a mirror structure with your own hands. Simple manipulations will allow you to create a completely unique, representative design, in harmony with the interior of any bathroom. How to make mirror furniture with your own hands? The basis for the creation can serve any interior item: a curbstone under the sink, floor or hanging closet. But it is important to bear in mind that water often falls on the bathroom floor. In order for floor structures not to accumulate moisture and not fail prematurely, they must have legs that ensure normal air circulation. If they are not there, it will not be difficult to buy them and screw them to the bottom. To make mirror furniture, you only have to fix the mirrors of the appropriate size to its outer surface. They can be glued to any type of door: sliding, hinged or lifting. But when repairing with your own hands you need to take into account the location of other objects in the room and make sure that the doors open freely, without hitting and not clinging to nearby structures. 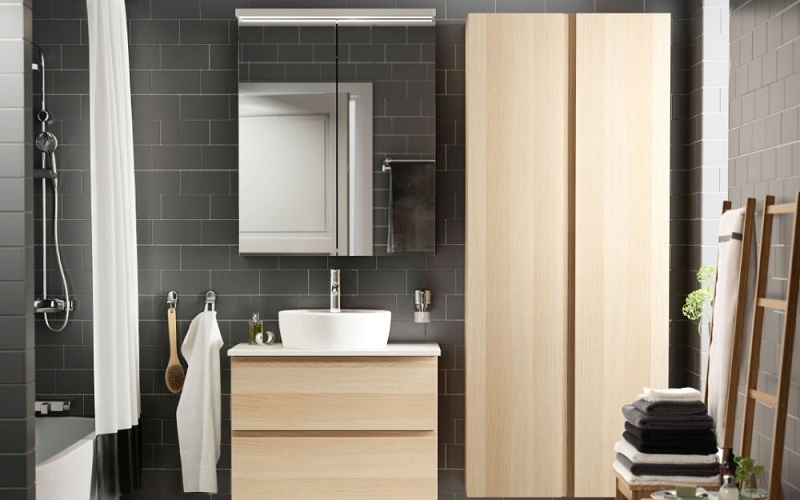 The best options for a miniature bathroom are narrow drawers. Bathroom mirrors can be of any shape and size. But for those who wish to make a construction with their own hands, it is important to understand that they all have considerable weight. Therefore, movable mechanisms must have high strength and resistance to corrosion. Not be redundant and special closers that prevent unwanted slamming of cabinet doors. Mirror canvases can be attached to any surface from which to make furniture for bathrooms. But the preferred option is MDF – one of the most resistant materials that are not afraid of water. Its service life is 10 years, even in the absence of sealing and high humidity. When creating mirrored furniture with your own hands, you need to comply with the only condition: structures deformed from moisture are not suitable for such work. The surface on which the mirrors will be mounted should be perfectly flat, without depressions or protrusions. If the surface of the cabinet to which the mirror will be attached is laminated, then the smooth film must be carefully removed. This can be done with a painting knife. After complete removal of the film, it is necessary to give the surface a rough texture. To do this, it is necessary to completely treat it with sandpaper of a fine fraction, paying particular attention to the edges. At the end of the preparation, remove all dust from the treated cabinet door and the inside of the mirror. Degrease with fixing points with acetone (or nail polish remover). You can glue the mirror to the furniture with the help of a special adhesive-sealant that is resistant to the moist atmosphere of the bathroom. You can find it in any hardware store. The adhesive must be applied to the surface of the cabinet, and then dotted onto the mirror. It is important to apply glue to all points of contact of parts, but it is recommended to avoid leakage beyond the edges. After glue treatment, the mirror should be attached to the door and pressed tightly. For maximum waterproofing should thoroughly fluff the ends. It is recommended to dry a design in a horizontal position, under a press. The time for complete drying depends on the characteristics of the adhesive and is usually indicated on the packaging or in the instructions. After the glue dries, you can install the cabinet. To mirror furniture had a finished look; you need the correct design of the backlight. You can create a shining interior by installing light sources in the closet or directly above it. 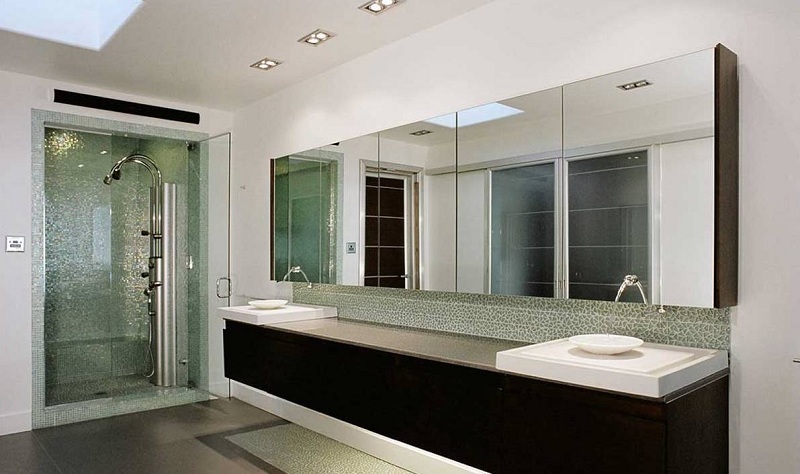 The surface reflecting the light will make the bathroom more comfortable and lighter. But when designing the backlight is recommended to avoid the abundance of open wires. This can be done by providing for the conduct of hidden wiring in the cabinet. The advantages of correct installation of the backlight in a small bathroom can be seen in the photo. To mirror furniture always sparkled; you will have to take care of it regularly. Remove stains and dust can be with the help of special tools designed for glass and polishes for the side walls of the cabinet. Drops falling on and drying on the mirrors form a patina, which only aggressive formulations with abrasives can help wash out. But when using them, it is important not to forget that such tools can damage the glossy surface of the mirrors. To avoid frequent washing is possible by installing the structure away from water sources. 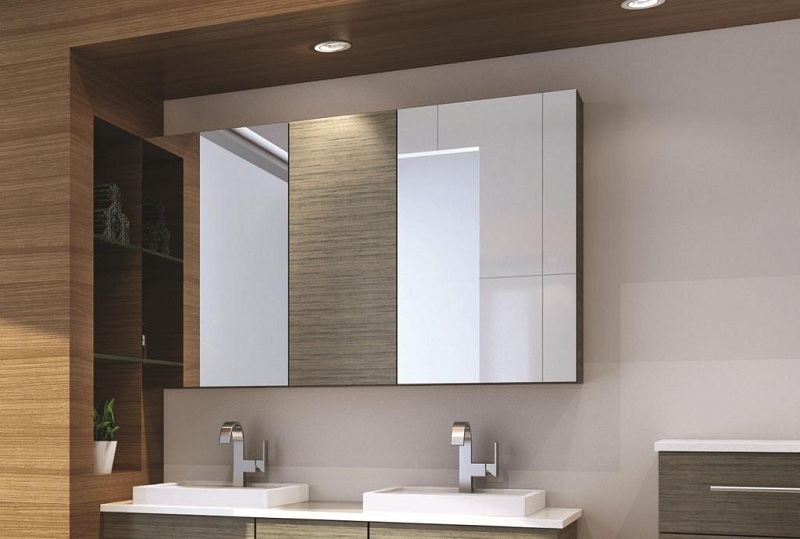 When choosing a place to install the cabinet, you can focus on the reflection in the mirror. It is better if it is an empty wall or some element of decor. 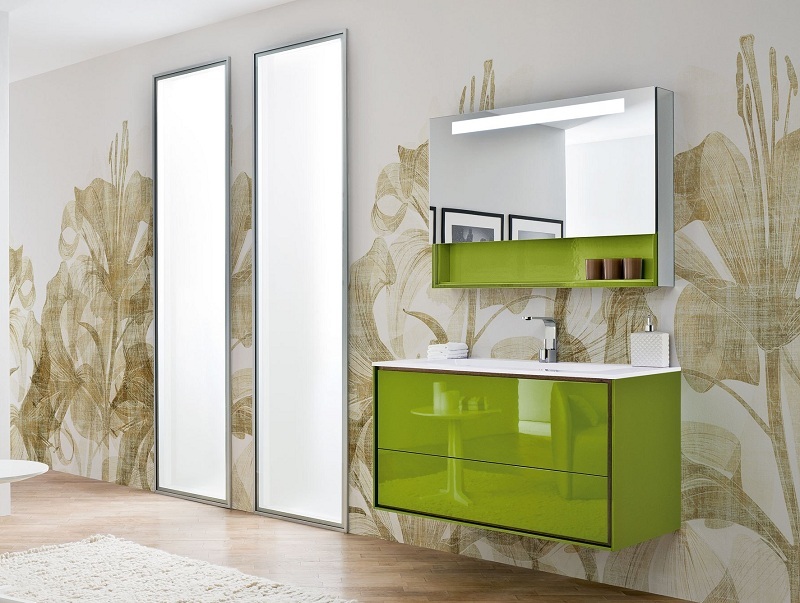 If the bathroom is rectangular in shape, then mirror furniture should be placed along the longest wall.